The American Oracle Racing team became the first America's Cup squad to sail its own AC45 when it went for a short shakedown sail in Auckland this afternoon. For the first time out, the team was on the water for about 90 minutes, checking systems and ensuring everything on the newly branded AC45 was 'shipshape'. More serious testing and training will take place later this week. "Today was great, absolutely beautiful. It was really Auckland at it's best today… Perfect moderate nor-easterly, warm t-shirt weather, 12 knots," said Murray Jones, an afterguard member on the team. "Everything went well, just like clockwork really and the guys have done a great job to get her sailing. I think we will go out for another short sail tomorrow, to get a few more things calibrated and then really get into it on Thursday." 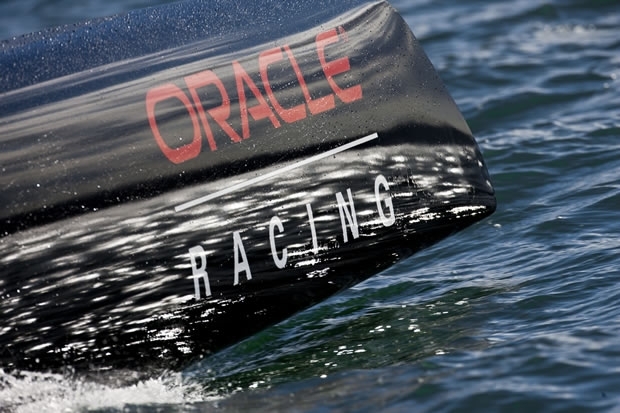 Other competitors are expected to join them on the harbour later this week as the first batch of AC45s hit the water.